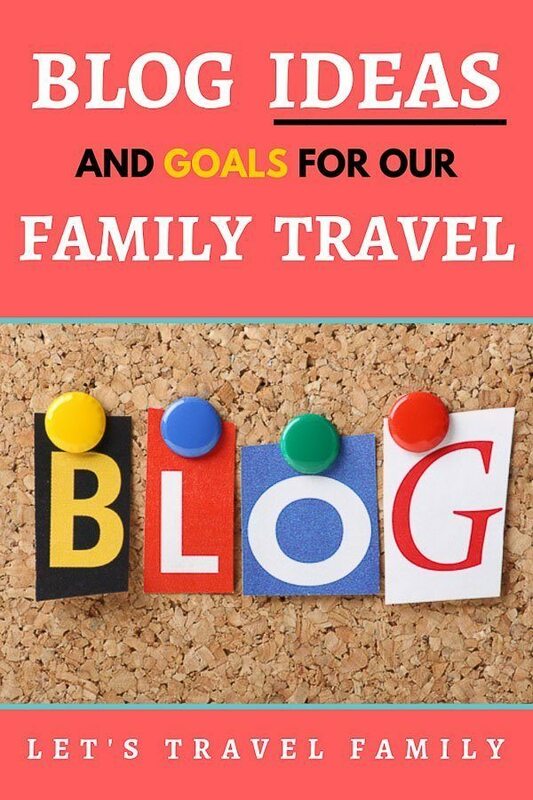 Have you ever wondered how we come up with our family travel blog ideas? How do we decide what to write about, how to organize our blog, what questions to answer that our readers ask about, when to publish articles, or what to produce on our vlog (YouTube weekly videos)? I want to share with you a little bit about the ‘behind the scenes’ developing of Let’s Travel Family over the last year, and where we hope to go from here. Then talk about how we decide what to write about and what some of our current ideas are. First though, let me explain where this post is all coming from. I just spent the last week meeting more travel bloggers in person than I ever thought I would and learned from some of the top bloggers in the industry. This makes what we are doing SO real that I’m bursting with excitement! Attending the travel blogger’s conference called TBEX in Finger Lakes, NY gave us some things to chew on in regard to the direction we want to go with Let’s Travel Family. 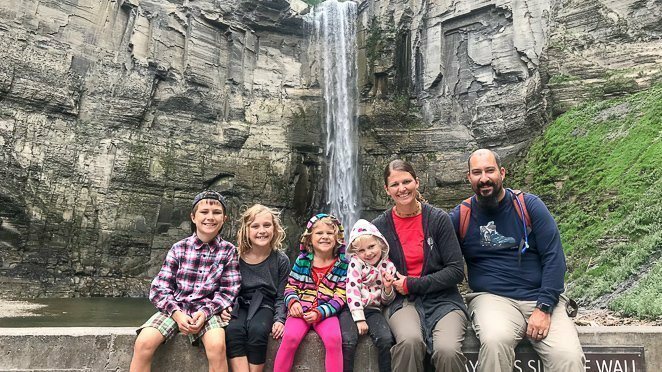 You see, I have always dreamed of traveling more with my family…and we began doing that FULL-TIME in May 2017. Then I started to dream of working as an entrepreneur….and I began doing that in October 2017 when we launched Let’s Travel Family as a blog. Click here to learn more about how to start a travel blog. Next I began dreaming of growing Let’s Travel Family to be a full ‘Travel Media Platform’ supporting and inspiring other families to build those memories and travel more together now, not waiting for one day. Build it into a brand that would connect with thousands of people daily, providing help and encouragement along the way. Build it into a business that earns enough income to support our family completely…..and, we aren’t quite there yet. That doesn’t mean that our dream won’t come true at some point, and maybe even sooner than we imagined! I am SO very motivated. Before I get ahead of myself, I want to first talk about how Let’s Travel Family began. When I started Let’s Travel Family, I was excited to learn something new while sharing our experience, excitement, and joy with the world. Blogging was very new to me, but I was up for the challenge. 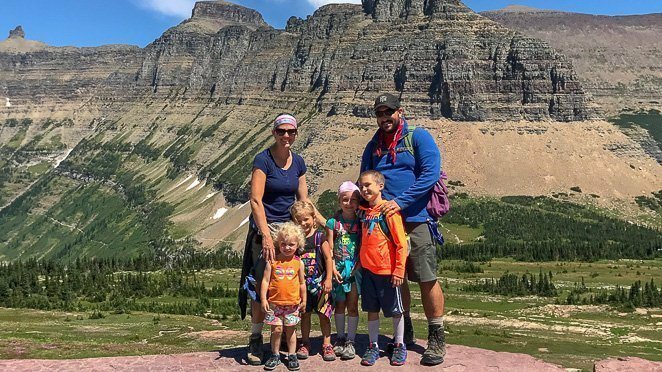 I wanted our friends, family and anyone who wanted to see what life was like traveling with 4 kids in tow, that it was attainable! I wanted to show people that taking the time to build memories, instead of buying things, can bring such amazing happiness to your life. I wanted to inspire others to reach for their dreams now! While learning the ins and outs of travel blogging from the amazing course I was taking online, I began to implement a few great techniques to help the blog reach more people. My idea was to begin answering more questions and helping even more people on the blog. From tips on what to do in a certain destination, to how to RV with kids. That is just what I did for the first several months of Let’s Travel Family. Earlier this summer I realized that I was not only providing helpful information on our website for families, but I was connecting with them and building relationships through Instagram, Facebook and Twitter. The personal messages I began receiving made me realize that I was making a difference in a few individual lives. We were inspiring, helping, or encouraging families to make those amazing memories with their kiddos. Tony and I talked quite a bit about the future of Let’s Travel Family, and even though he continues to work full-time for his digital nomad job, he was ready to jump in with me and begin recording and editing YouTube vlogs each week to build an even stronger connection with our community and provide more help and encouragement to others. He was ready join me in the making and growing of Let's Travel Family! We knew that video could be such a great way to REALLY connect with people, as that was what helped us feel inspired and confident to begin living a full-time traveling lifestyle in the first place. By watching other family’s YouTube channels. So, we committed to producing 1 video each week on our channel and got to work. Update 4/1/2019: We cut back on weekly videos becuase we found it took over 15 hours a week to edit and produce one video. This month, however, we've picked back up on creating videos and decided to make them very simple. That way we will not have to spend 15 hours editing, but we can still provide value and make connection with our followers. 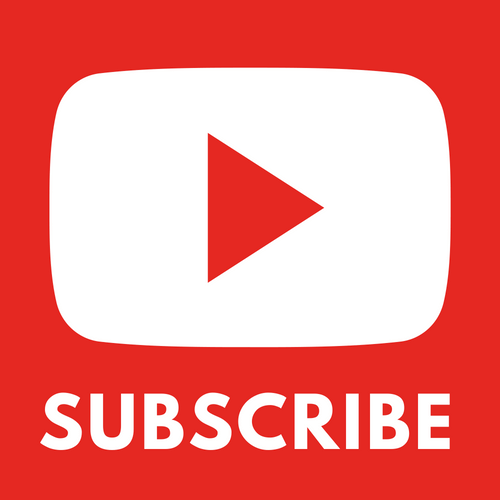 Click here to subscribe to our channel now! Can I just say right now, that speaking on camera is a bit awkward? It has taken us months (and we are still very much working on it) to feel like we can look at the camera and talk clearly without the super crazy awkward feelings. Yet, our viewers don’t seem to mind our mistakes on video. If anything, Tony is having fun making them into bloopers to add in to some of the beginning or endings of the weekly videos and the feedback we get on those is great. Speaking of feedback on the videos…..just wow! Out of all the places and platforms that we've tried to connect with people, our followers on YouTube have by far provided us with more connections and a feeling of community than we have ever felt on any other social media network or even the blog. I feel like we are finally building that community and those connections that I hoped for last October! So much so, that Tony and I are dedicated even more to growing Let’s Travel Family and decided to ‘rebrand’ ourselves. It was my idea to rebrand our family travel blog, because I want to make it clear that Tony and I are BOTH the creators, writers, vloggers, and passion behind Let’s Travel Family. I also wanted to be clear to ourselves and our community what it is that Let’s Travel Family will provide. So, I am going to share with you our ‘summary’ of what you can expect from Let’s Travel Family. 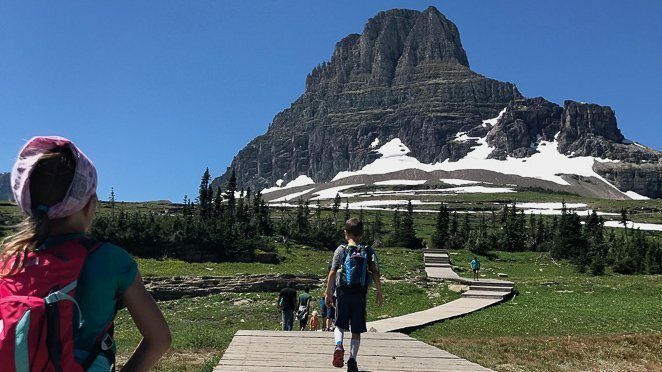 Let’s Travel Family is a blog, vlog, and social media platform inspiring families to follow their dreams now and not let fear stand in their way. We have been living our dream of traveling and growing closer together as a family and we hope to encourage others to take the leap to follow their dreams, whatever those might be. ​Together, Tony and I want to provide helpful tips that we have learned on our full-time traveling journey with 4 kids. Such as how to RV, take road trips with kids, or find the best destinations to visit as a family. Did you notice something in there?? ‘Together, Tony and I’…..we are in this together. I (Jill) may have launched the blog, but now we are both a huge part of making Let’s Travel Family run. We are in the process of rebranding to include Tony in all that we do, as well as make our message and goal stand out and be known to anyone who visits our blog/website, Twitter, Pinterest, Facebook, Instagram, or YouTube channel. 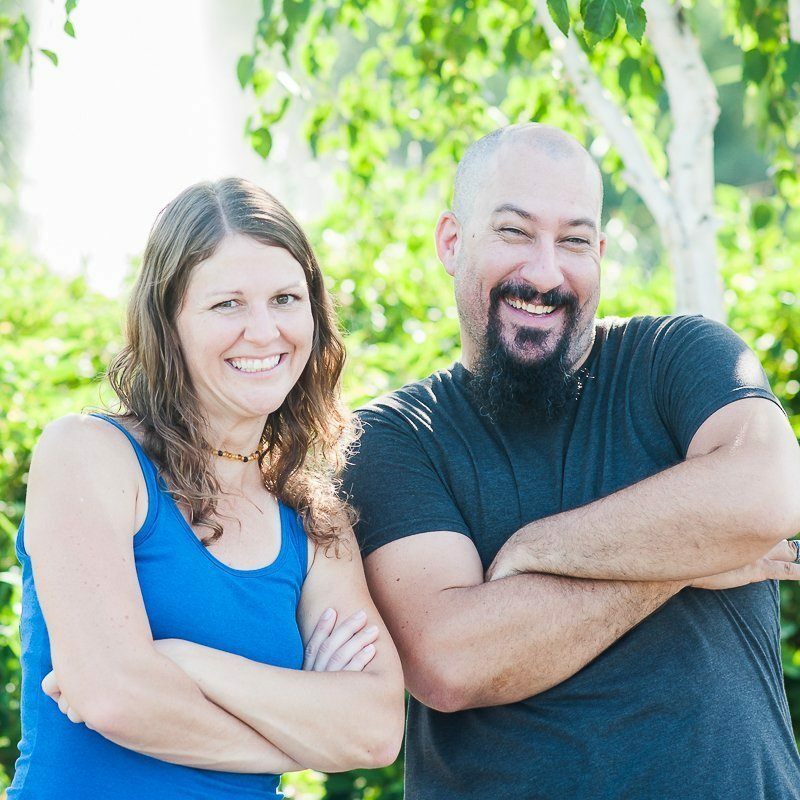 Anyone that receives an e-mail from us or a DM on Instagram will know who they are receiving it from…Jill and Tony with Let’s Travel Family, and what we stand for. Our goal is to have a new logo designed along with solidifying our colors and typography for our brand ‘Let’s Travel Family’ in the next month or so. We will then be updating the look of our website and all other platforms. * Update: Creating videos is A LOT OF WORK (and all on Tony). At this time, he has taken a break from it to focus on his health and regular sleep and spending quality time with the kids. Hopefully we can get back to creating videos, but for the time being (Nov. 2018) we have stopped creating weekly Youtube Videos. FYI, editing video is a skill that takes a while to learn. Tony is teaching himself as he goes and I think he’s doing a fantastic job! But man, does it take hours and hours to edit a 10-minute video right now, so be patient with us. We’d love to get more than 1 video out each week, yet that just can’t happen right now while he's working full-time. How much does it cost to live in an RV full-time? What apps or websites do we use to book our travel? What are our family bucket list destinations? What are our best tips for road tripping with kids? How do you get internet on the road? Tony will also be writing a bit on the blog regarding his experience living with Type 1 diabetes and ways that we manage it along with tips for getting internet on the road. We are determined to connect with as many families out there as we can, even if that means reaching out on many different platforms. I know that frequent users of Instagram are not usually those that are on Twitter. Those on Facebook are not always ones that frequent Pinterest. Therefore, we plan to post daily to each platform in order to help connect with more families and provide inspiration to follow their dreams and not let fear stand in their way. I've been sending out a weekly newsletter every Wednesday to our community, and I’ve found it to be a great way to give a quick update and further connect and build those bonds I keep talking about. Our newsletter provides a look at what is going on in our lives that week and tries to help our community by linking to a recent blog post or a video that we may have published recently. Our goal is to continue sending out quick and easy to read e-mails after Wednesday. How Do We Decide What To Write Or Talk About? We have a few ways of deciding what to write or produce via video. We read the questions that our community asks us via e-mail, YouTube comments, blog post comments, and Instagram or Facebook comments or DMs. We also use a keyword search tool that helps us find out what search words/phrases people are typing into Google.com to find their answers. Then we write about those. Please, send us a message or comment on this blog post if you have a question that we haven’t answered yet. We want to help! 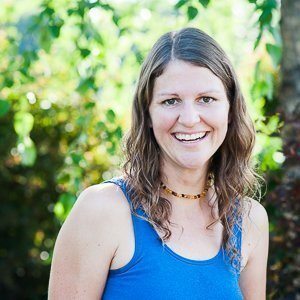 TBEX Travel Blogger's Conference Success! Talk about motivation and inspiration! 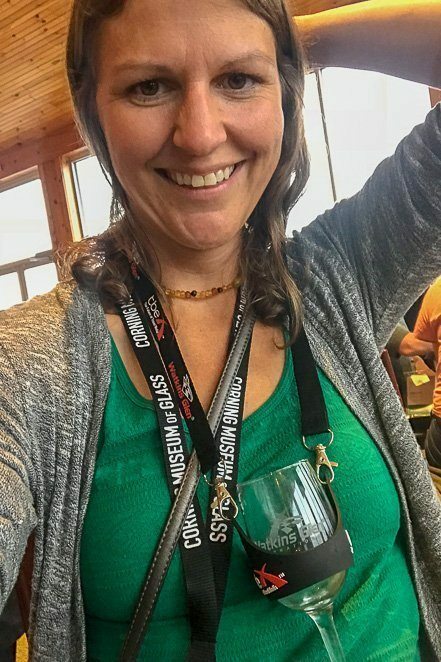 My goal for attending my first TBEX conference was to connect with other bloggers and vloggers, make new friends, and explore Finger Lakes Wine Country in New York all while learning from the experts. I wanted insight and inspiration moving forward with building Let’s Travel Family. I also wanted to begin meeting brands and tourism boards that would work with us. What a success I had at meeting those goals! The inspiration I now feel after attending TBEX is just what I’d hoped for and I know it will push us forward. The keynote speakers during the closing of TBEX 2018 in Finger Lakes talked about Courage, Hustle, and Tenacity as being key components to their successes. It was like they were talking directly to me. That has been our family’s mantra since before we began traveling full-time. It will continue to be our mantra as we build Let’s Travel Family’s reach and community. Next year we'd both like to attend TBEX and gain the knowledge, friendships, connections, and motivation we did from this one. It was so inspiring and we are thrilled to continue to travel full-time and live our dreams together.